history but there is no general agreement or even archeological evidence to confirm who was here, or what they did. 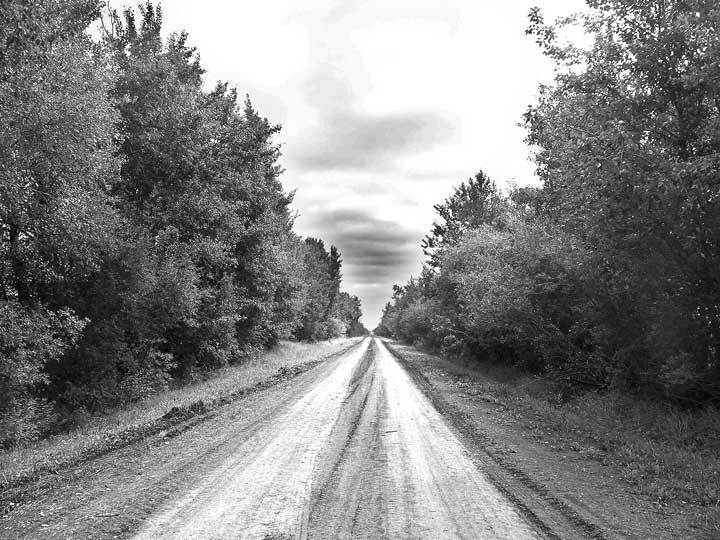 The ancestors of the present day people who live in Cumberland House came to that settlement with the Europeans in 1774, prior to that, they are without a written or evidentiary history. 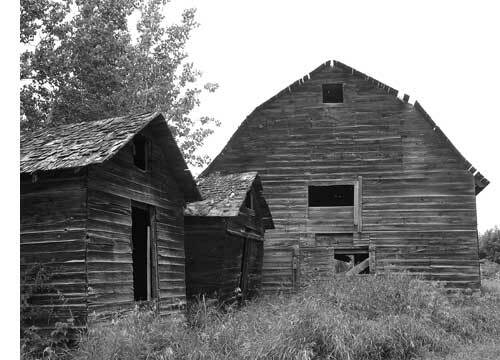 In October of 2000 we posted a story about a barn a few miles north of town that has since fallen down but was built in 1904 being one of the oldest structures in the community. 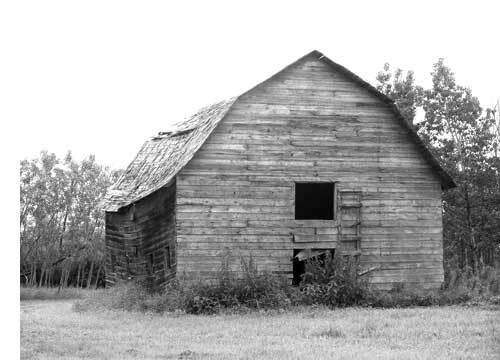 The building shown on this page look to have come from the 1930s or perhaps the 40s as this is a fairly classic horse barn of that era of Saskatchewan. 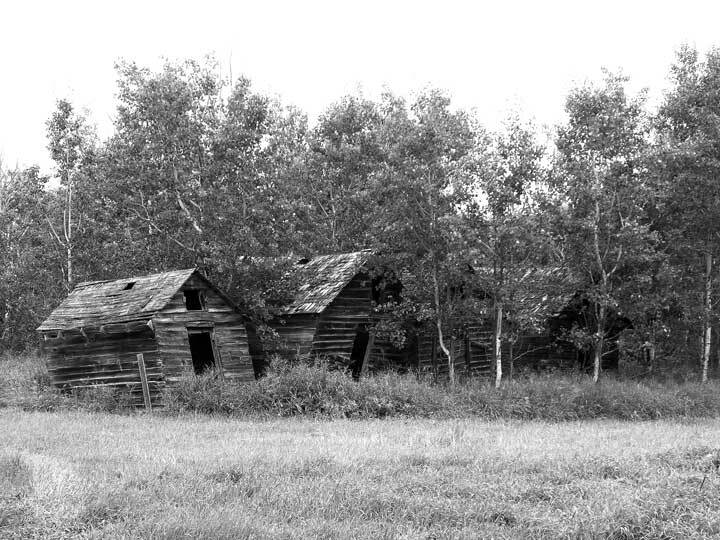 In the south central and south eastern portions of Saskatchewan there was a homestead on each and every quarter section of land so that Saskatchewan's population was 2,000,000 people, almost all living on the land in rural settings. 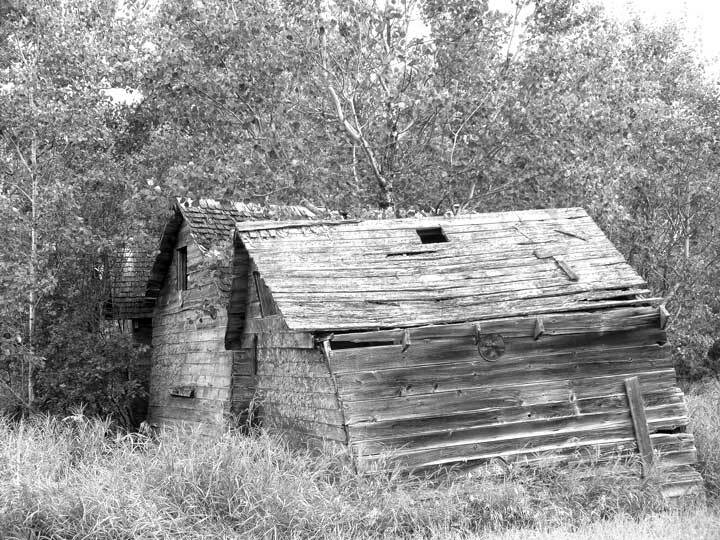 The Depression and drought of the Dirty 30s began the process that continues to this day as farms grow larger and larger and fewer and fewer Saskatchewan people actually live on farms. 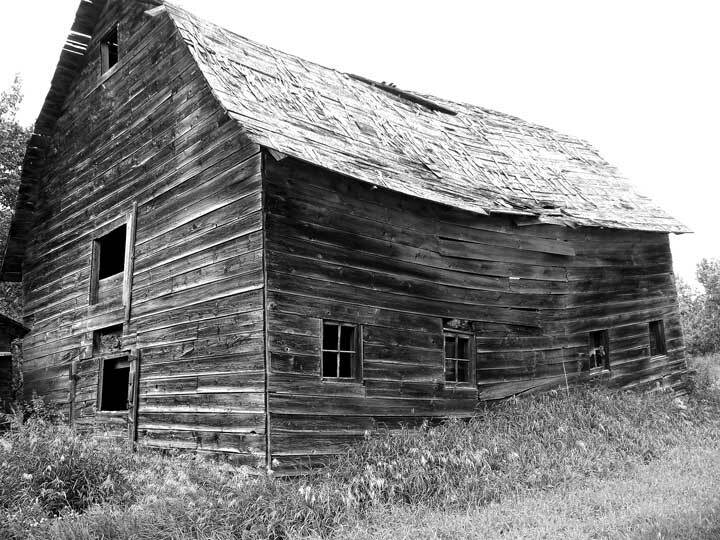 The remarkable thing about Saskatchewan's history is that almost all of it relates to the attitudes and economic circumstances of this very short period of agricultural history. From the beginning in Saskatchewan until this present decade farming in Saskatchewan, all parts of the province has been an unprofitable venture. The high yields and prices above production have only occurred within these past three years. Without time and technology we really are short sighted in being able to divine both what has happened in this short Saskatchewan history or be able with even the slightest level of confidence to predict the trends which can be expected. History is of course made up not just of the economic and political events of a society but also of its social and cultural factors. Clearly, there are two factors that have made Saskatchewan people the innovators and positive people that they are and that is their history and reverence for education. We can see the continuing trend for the generations of people in this province to improve their level of education and then put that education to remarkable use. The second factor has been the resource that sets people of the Great Central Plains quite apart from others on this planet and that is the willingness for individuals to turn to each other as resources to carry out individual and community projects. Be it building the actual buildings that make up a community or working together to support one another in crisis Saskatchewan people know and understand the whole concept of mutual benefit. Skating and curling rinks, community centres and parks exist in parts of Saskatchewan with remarkably small populations only because the people in their communities are willing to work together to create the things they know they need for their communities. Because our history is so short we drastically need to be constantly aware of what has taken place but we need also to make it a priority of our educational system to see that our children know about Samuel Hearne and Cumberland House, Louis Riel and Batoche, John Diefenbaker and Wakaw, Tommy Douglas and Weyburn and Gordon Howe and Detroit.